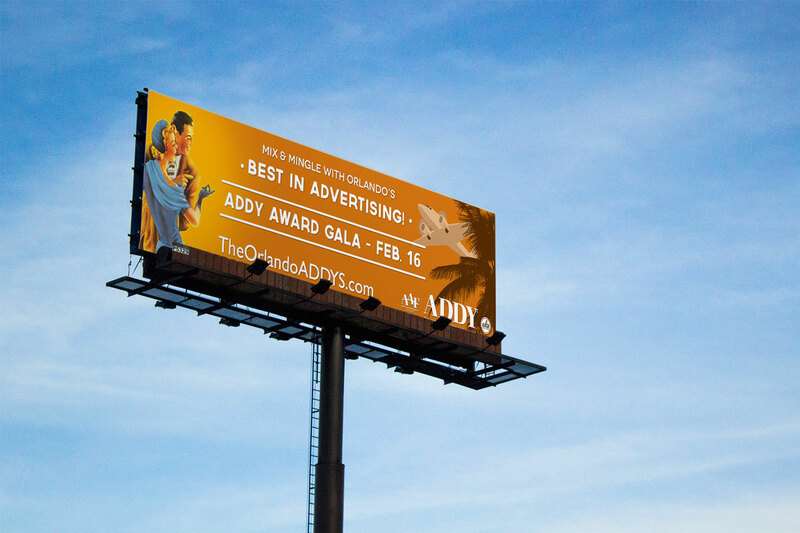 The American Advertising Awards (ADDYs) recognizes and rewards the creative spirit of excellence in the art of advertising. 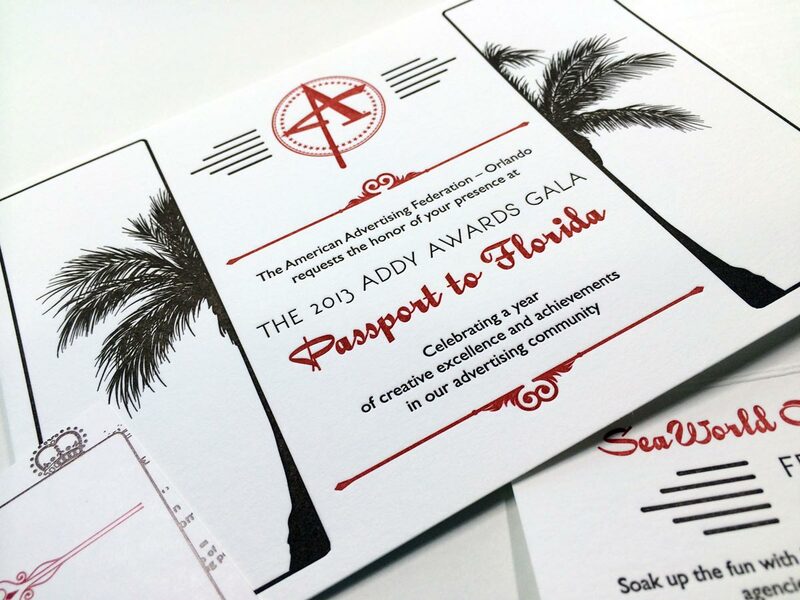 The three tier competition begins at the local level and here in Orlando the Treefrog team rallies to create outstanding promotional materials for the winners award show. 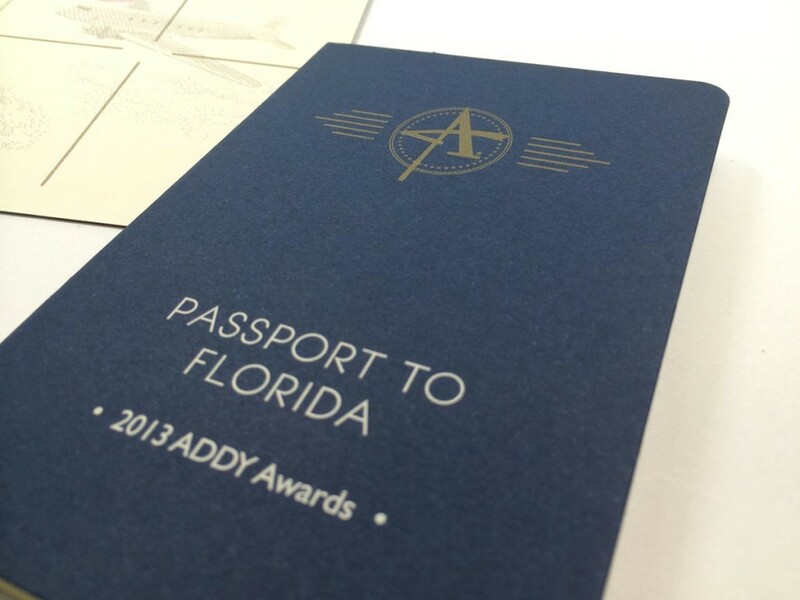 For 2013, the theme of the Orlando ADDYs was ‘Passport to Florida’ – a nostalgic look at Florida’s tourism past. 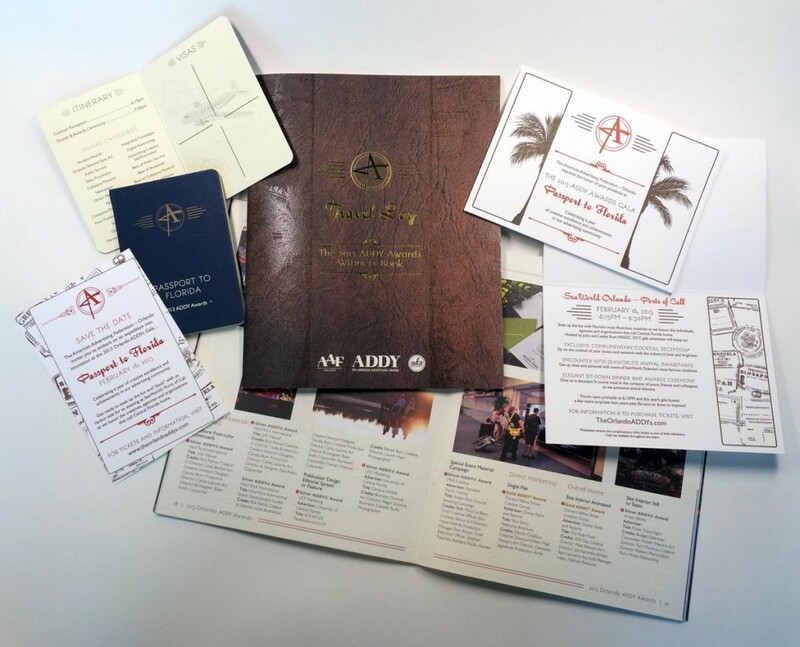 We designed the promotional materials to have a retro travel feel using palm trees and images of travelers clad in retro style. 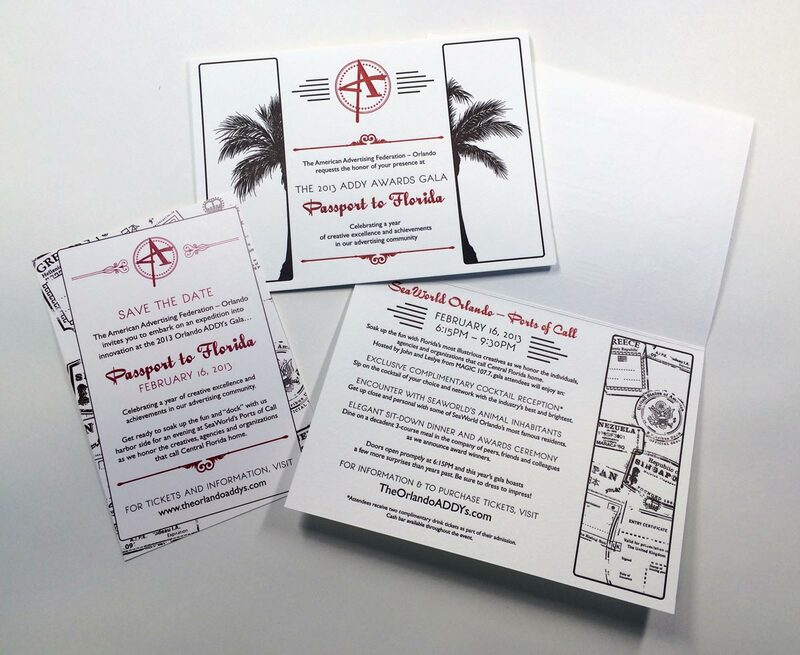 The event invitation was letterpress printed by local printing company, Mama’s Sauce using Crane’s Lettra Fluorescent White paper with two custom PMS inks. 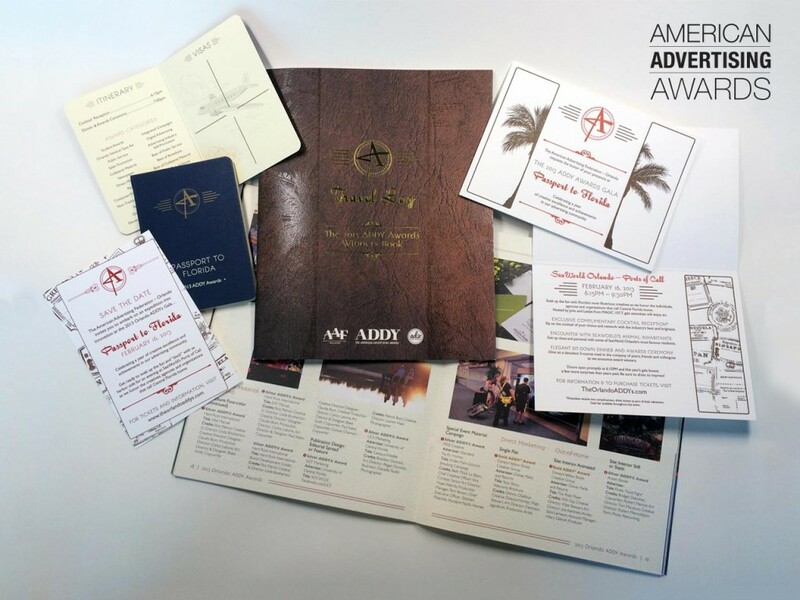 We also created a 30-second Motion Graphics Television spot that aired locally to promote the event as well as several billboards that were displayed on digital billboards around town (thanks to Clear Channel Outdoor). 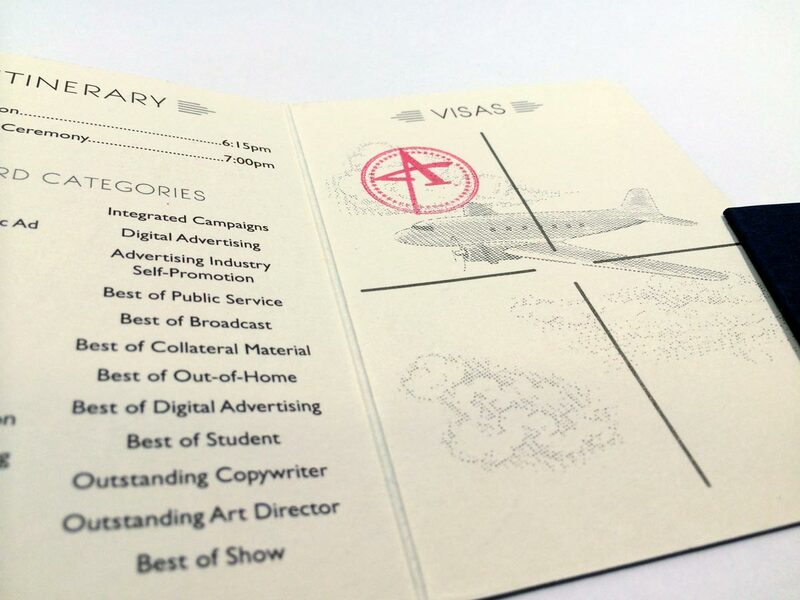 At the Awards Gala, each guest was presented a passport, screen printed by Mama’s Sauce, that they could get stamped at different attractions for the evening. 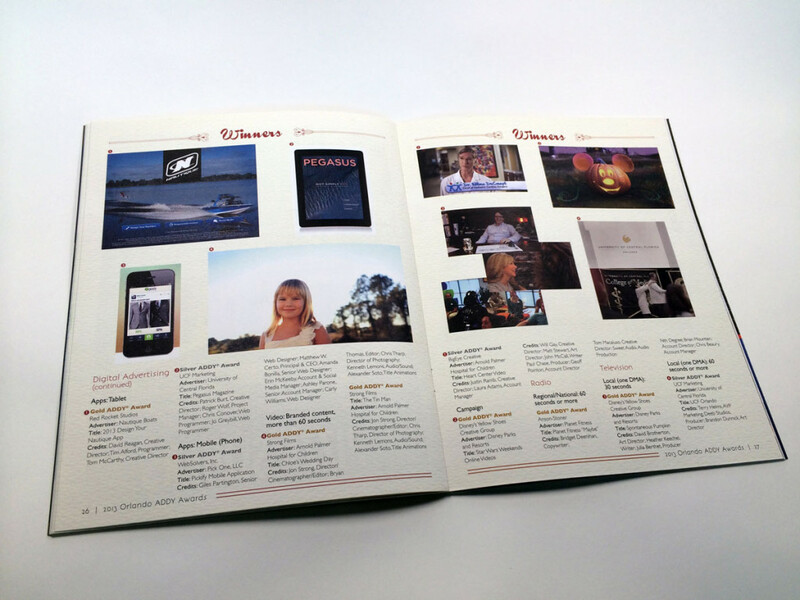 As the guests left the event they were presented with the Winners Book, printed by Spectrum Print Communications. 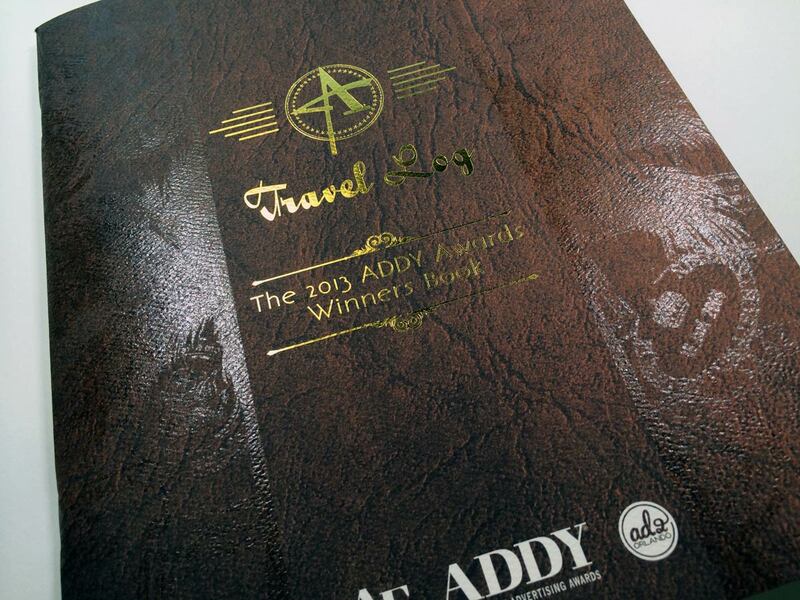 The Winners Book uses a gold foil and spot aqueous coating on the cover to give the book a weathered feel. 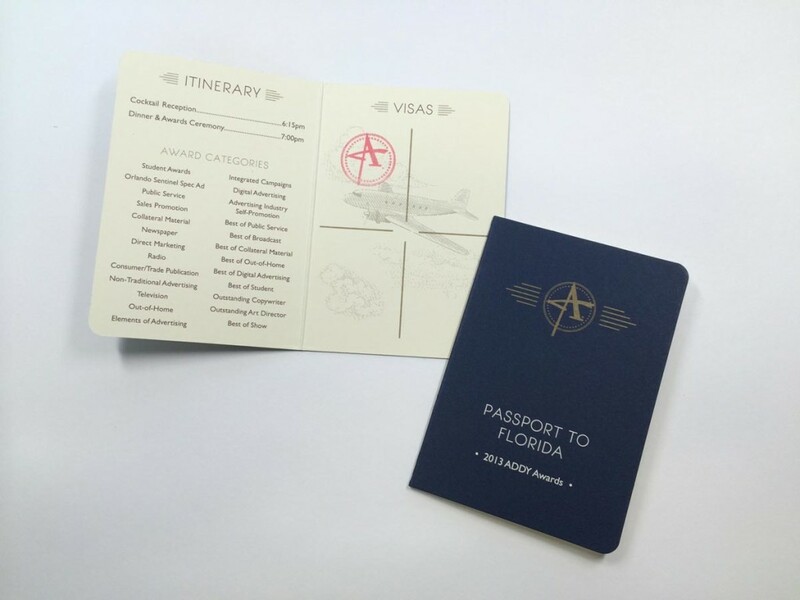 I am a traveler. My adventures have taken me from camping in the Serengeti to horseback riding around the Egyptian pyramids to exploring catacombs in Ukraine. 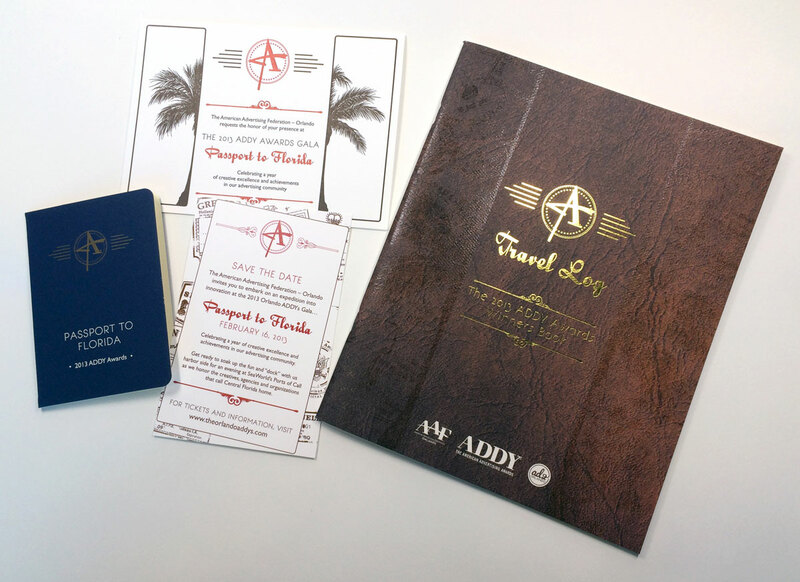 These experiences traversing the globe have been an inspiration and great influence on my choices and design aesthetic.